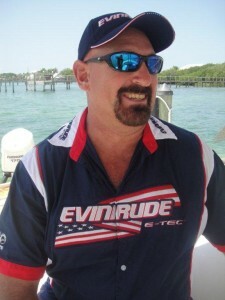 Growing up on the water in Sarasota, Florida John Sahagian was fishing by the time he could walk. After a first trip to Big Pine Key in 1974 to attend New Found Harbor Marine Institute, John spent every Summer break fishing and diving the waters of the Florida Keys. After spending most of his early summers fishing and diving he decided to make a career out of diving. In 1982 he attended Florida Institute of Technology and received two degrees, one in underwater technology and the other in sport diving education. While attending F.I.T. John started working in the sport fishing industry out of Sewals Point, in the heart of sailfish alley aboard the charter boat, Cracker Jack. John brought those skills with him to the Florida Keys. While still going to F.I.T. John moved to Little Torch Key, Florida in 1984. After working several years as a full time diving instructor, John established FUNYET Charters in 1988. Captain John also taught marine science with Marine Sciences Under Sail. A few years later the flats boat was added to the operation in order to offer all types of Keys fishing. Over the years the SCUBA diving segment of the in water operation has been phased out leaving only the snorkeling and skin diving, This allowed him to concentrate heavily on fishing. Captain John writes a regular feature for FishMonster Magazine as well as holding several live how to seminars each season.